The Liberty Partnerships Program offers summer programming for our students. We have partnerned up with the following programs to ensure we are keeping our students engaged and learning during the summer. We have incorporated programming that with allow our students to build a strong foundation academically, socially, and metally. Applications and information will be provided to students during the school year. Pink Diamonds is a Leadership Development Program for adolescent females in grades 9-12. The group will focus on: Goal Setting, Professionalism, Public Speaking, Cultural Awareness, Etiquette Enhancement, and Self Esteem/Self Love. Founders Lindsey L. Taylor and Akil McLeod have created the Gentlemen’s Institute. The Gentlemen’s Institute mission is to empower young men with the necessary skills to build a strong foundation. The foundation is rooted in providing the education necessary to build leadership skills, professional etiquette and develop a gentlemen's lifestyle. Our rigorous course sessions will be conducted by Institution's founders and invited guest speakers who are establish leaders and pioneers in the community. Sessions will include - Leadership Skills - Personal & Professional Etiquette - College Readiness - Financial Literacy - Entrepreneurship - Business - Public Speaking - Education - Career Goals & more. 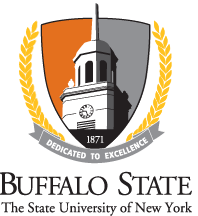 Buffalo Engineering Awareness for Minorities is a summer program to encourage, enrich and prepare students' to pursue a future in the fields of science, technology, engineering and math. This enrichment program is designed for academically qualified students interested in exploring the wonder and excitement of science, math and technology in a hands-on learning environment. Programs include field trips and career speakers.